Go in Texas style with Piel Leather! We offer top grain leather travel bags from our Texas Luggage collection including leather duffel bags die stamped with Texas themes. We’ve also selected top grain leather accessories for your Texas business like our leather organizers for your Texas office. Piel Leather has been the leader in naked leather for more than 30 years, making soft but hardworking top-grain, natural leather bags. We can emboss our leathers with the state map of Texas, the State Seal of Texas, a longhorn shape or have it custom embossed or embroidered to your specifications. 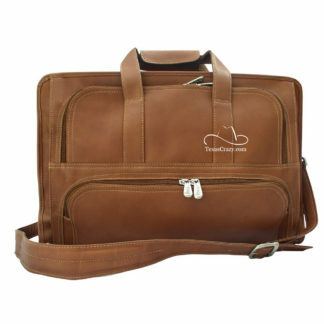 For more details or to purchase one these Texas leather luggage accessories, click on any picture below.